German President Frank-Walter Steinmeier has expressed support for a series of missile strikes by the US and its Western allies on Syria, a move harshly criticized by Russia, but he warns that the West is going too far in its alienation of Moscow. 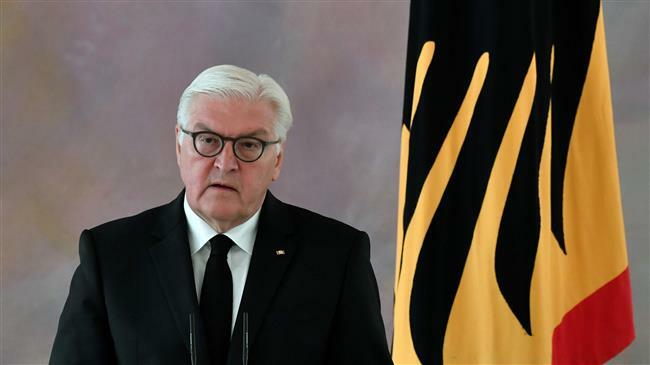 The German president who served for two times as the country’s foreign minister, said it was wrong to introduce Russia and its people as an enemy of Germany, saying the two countries had a rich history of cooperation on key international issues. “… we cannot declare Russia as a whole, the country and its people, to be an enemy … Our history speaks against it, and there is too much at stake,” said Steinmeier, urging German politicians to keep the door open to dialogue with Russia. German chancellor Angela Merkel has defended missile strikes by the US, France and Britain on Syria’s military facilities as necessary to prevent any other potential chemical attack like the one that allegedly took place on April 7 in the city of Douma and killed dozens. German Foreign Minister Heiko Maas, has also adopted a harsh tone against Russia over the incident which both Moscow and Damascus insist is fabricated to undermine Syria’s advances in the fight against terror. However, Germany has always tried to be careful in its way of dealing with Russia, especially on issues related to an ongoing conflict in Ukraine. Berlin imports almost a third of its gas from Russia and plans are underway for construction of a second pipeline which would bring Russia’s gas to Germany while bypassing Ukraine.